What is arthritis and what can I do about it? All about knee prosthesis: for whom, when, and scenarios? Home » What is arthritis and what can I do about it? What is arthritis, and what can I do about it? Download for free the booklet Moving without pain with a value of $6.75 / £4.95. 1.5 million people in the United States and 400,000 people in the United Kingdom suffer from rheumatoid arthritis. The number of people affected by common arthritis is even higher. Approximately 27 million in the US and nearly 9 million in the UK which means that this chronic condition affects one in three adults over the age of 50. 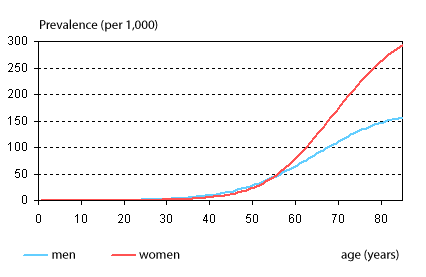 Women are twice as likely as men to suffer from arthritis. Since arthritis mainly occurs, as people get older, experts believe, given the ageing of the population, that the number of patients will increase further in the decades to come. In addition, many people suffer from obesity, and we are generally moving towards a more sedentary lifestyle. Both weight problems and lack of exercise are important risk factors for arthritis. I am afraid of getting osteoarthritis. Is there anything I can do to prevent it? Preventing arthritis is, in principle, very simple, yet sometimes it may require special efforts. Most people who seek medical help for their arthritis of the hips, knees or feet and who visit an orthopedic surgeon, struggle with their weight. If your BMI is higher than 25, you are classified as overweight, higher than 30 indicates obesity. You can calculate your BMI by dividing your body weight by the square value of your height. The resulting figure is your BMI (you can also calculate it by clicking on this link). Are you too heavy? If your BMI is above 25, losing weight may improve the condition of your joints. Exercise is important. A minimum of half an hour of exercise per day is recommended while the optimum is an hour! Don’t worry, ‘exercise’ does not equal intensive training. Walking, biking or swimming will provide tremendous benefits. You will soon notice that moving is not only beneficial for the joints, but for your health in general (both physical and psychological). Avoid excessive straining. Many athletes end up developing arthritis. If you notice increasing discomfort in your joints while exercising, you should take it as a sign that you need to slow down! Due to many factors, sometimes we cannot prevent arthritis. For example, a serious trauma may lead to arthritis in the affected joint. 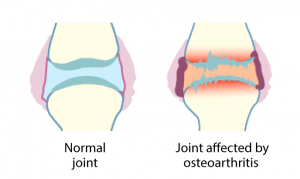 Consequently, if after a few months you are still struggling with your joint, or if in that time the joint suddenly starts hurting again (after it had seemingly healed), you may have developed arthritis. Sometimes surgery can also lead to arthritis, for example meniscal surgery in the knee or keyhole surgery in any joint. Arthritis is often associated with wear and tear in the joints and cartilage causing the joints to become inflamed. Gradually this will lead to swelling, stiffness and pain and even further wear and loss of cartilage that will eventually lead to increase of the existing symptoms. Contrary to what many people think, the cartilage itself does not hurt. The only cells that are present in cartilage are chondrocytes, the cells that produce and maintain cartilage. There are no nerve cells present in the cartilage that could detect increased damage or friction. However, the bones and synovial membranes do contain nerve cells that can signal inflammation, which the brain subsequently translates into a pain signal. The inflammation factors that are then released into the joint (prostaglandins and cytokines) aggravate the breakdown of cartilage and promote additional inflammatory reactions. Moreover, these prostaglandins and cytokines can end up in other joints through the blood stream, where this can result in secondary inflammation and arthritis. Arthritis (osteo), unlike rheumatoid arthritis, generally affects only one joint, although it can spread to other joints. When more than five joints are affected, the condition is referred to as ‘poly-arthritis’. The most commonly affected are the knee or hip joints. I have arthritis. Is there anything else I can do? The recommendations to lose weight, change your diet, and exercise more will not only help to prevent arthritis but are also useful if you already have the condition. It is never too late to start losing weight if you are overweight or obese: every pound of body weight lost reduces the pressure on the affected joint (particularly for joints of the hips, knees, or feet). Moreover, excessive fatty tissue has a negative impact on metabolic processes and (low-grade) inflammation. The latter plays an important role in the acceleration of the breakdown of cartilage and subsequent pain. In conclusion, achieving a healthy weight is definitely a good idea! Exercise is also important, even after your doctor has diagnosed arthritis. Your first reaction will be, “But moving hurts so much. Surely I don’t need to keep doing it?” However, when you suffer from osteoarthritis it is actually very important to keep moving. In fact, a lack of exercise can accelerate the degenerative process. In addition, it feels good to stay active, despite your complaints, and to take part in all sorts of activities. 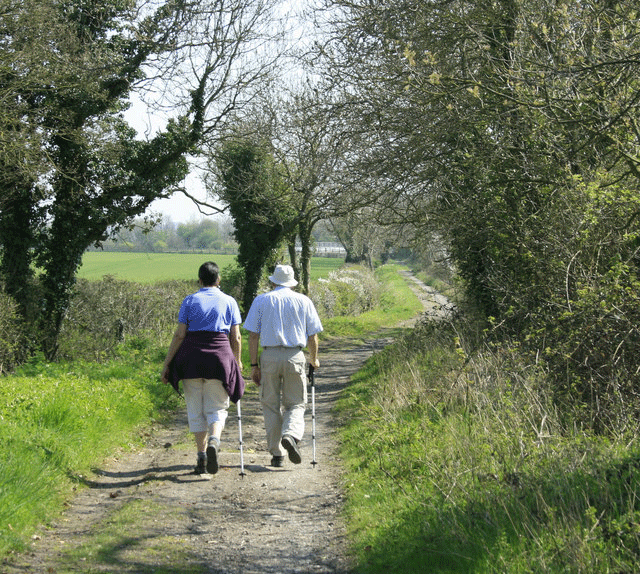 If walking hurts, you may try cycling or swimming. Or why not ask a physical therapist what kind of exercises can help you to make your stiff joints more flexible? Below you will find references to articles that also include exercises. You will notice that your quality of life will improve! It is best to avoid sports that put a high amount of pressure on the affected joint. After all, sports increase the risk of overstraining. When practicing certain sports, you sometimes (need to) make unexpected movements, which could result in damage to the joints. The bottom line about exercise is that it is not just important but essential. Keep moving! Just steer away from intense exercise with sudden unexpected movements. You can also take supplements that promote healing of the joints. A great example is the liquid combination of Green-lipped mussel, Curcumin, and Blackcurrant leaf. If your symptoms become so severe that you cannot function, not even when following these recommendations, you could ask your orthopedic surgeon whether you qualify for joint replacement surgery. Nowadays, orthopedic surgeons can replace virtually any joint. You may like to have a look at our detailed articles, which include exercises, about osteoarthritis of the hand and thumb, osteoarthritis of the neck, osteoarthritis of the ankle, foot or toe, osteoarthritis of the hip, osteoarthritis of the back, and osteoarthritis of the knee. Interested in receiving custom advice? Do not hesitate to contact us using our contact form. Kindly specify your symptoms in detail and let us know which tests you have undergone so far (incl. your physician’s diagnosis) and what your exact query is. Find out more about the Green-lipped mussel, Curcumin, and Blackcurrant leaf, all natural anti-inflammatories that you can use safely in combination with traditional medication in case of osteoarthritis. 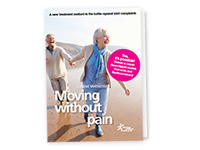 Download for free the booklet ‘Moving without pain’ with a retail value of $6.75 / £4.95. Any questions? Please feel free to contact us. Contact us. Download for free the booklet ‘Moving without pain’ with a value of $6.75 / £4.95. Can hyaluronic acid, glucosamine, chondroitin or MSM help in arthritis? Can hyaluronic acid, glucosamine, chondroitin or MSM help in rheumatism? Cartilage: how is it composed? Gout: what is it and what can I do about it? Nightshade bad for the joints / Arthritis? Pain in the back? These are the eight possible causes! Synovial fluid: what is it? The Benefit of Curcumin – there are actually 5! 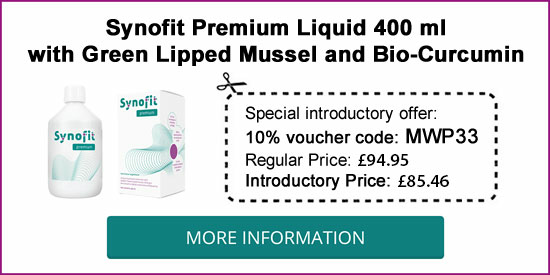 Which clinical studies have been performed with Green-lipped mussel? Which natural compound are of help when you suffer from Arthritis? Why do joints make cracking and snapping sounds? Do you suffer from arthritis or pain in your joints or back? When to cool or heat in joint problems? Read about treatments and new insights for Osteoarthritis & Rheumatism. Download 'Moving without pain' booklet for free to the value of $6.75 / £4.95. Do you have questions? We are willing to help you.